In the market for a double wide home and need a company that can help you through every step of the way? Then we can help. At Belden Homes Inc we have over 40 years of putting people like you into their new doublewide home. We help you through the entire process including helping you choose the model that’s right for you, obtaining financing and setting up your new home. We understand how overwhelming it is to choose your new doublewide home. That’s why our sales process includes helping you select and design your new home. We will help you through the entire process including answering all your questions. First, visit our doublewide home buying steps page. This will give you an idea how the process works. 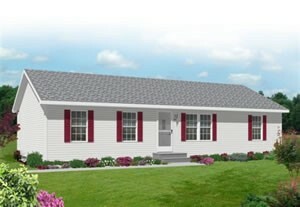 Second, visit our doublewide home floor plans page to see what types of homes are available. Finally, you can see our current selection of doublewide homes by visiting our current inventory page. complete setup in which we work as your general contractor. Some refer to this as turnkey setup. During this stage we turn your site and home into its completed form. Examples of the work done during this includes the installation of:.